What are the chances that Alex Trebek will be the host of Jeopardy! past 2020? "50-50, and a little less," the longtime host revealed to Harvey Levin in an interview for Fox News Channel's OBJECTified this week. Levin shared a clip from the interview on TMZ, which shows the former lawyer probing Trebek for details on his contract as it approaches its end in less than two years. Trebek has been the host of Jeopardy! since its premiere back in 1984 (it was a revived version from the original game show that debuted in 1964). "Can you imagine a life without Jeopardy!?" Levin asked, to which Trebek answered, "Sure." 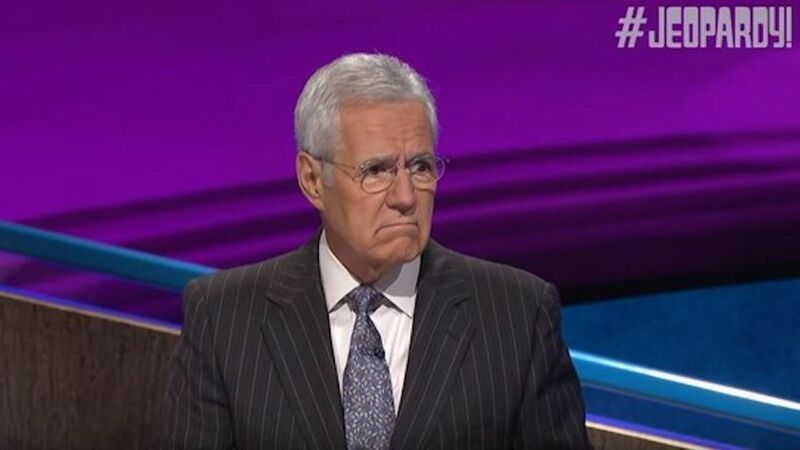 In regards to who should replace him when the time came, Trebek admitted he'd mentioned a few names to a producer: Alex Faust, an announcer for the Los Angeles Kings Hockey team, and CNN legal analyst and attorney Laura Coates. While it's difficult to accept that the longtime fixture could retire, his decision would be warranted as Trebek just turned 78, and by the time his contract is finished, he'll be turning 80. At least this heads up gives avid Jeopardy! fans time to cope with the news should he choose to exit the show after 36 years. Don't leave us, Alex!